Recently, Auxano was engaged by Mainstreet Church in the greater Toledo, Ohio area to help rethink how they would continue to fund their vision. Under the leadership of Lead Pastor, Marty Pennington, the church had taken a leap of faith, constructed a new campus, and relocated to the new facilities enabling them to build relationships that move more people to full devotion to Christ. However, this new level brought about new resourcing challenges. The church had a healthy debt load that needed to be addressed and an ever-increasing cycle of one campaign after another. Each campaign resulted in lower participation percentages, a reduction in cash offerings, and smaller financial commitments by their members. Mainstreet was experiencing “campaign fatigue.” Campaign fatigue sets in when members of the church become weary of the repetitive cycle of campaign after campaign with no apparent end in sight. For both leaders and members, fatigue quickly grows into frustration and weariness. 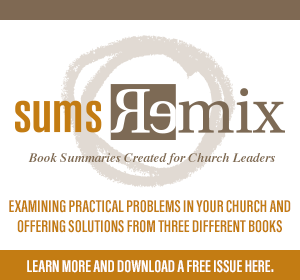 The church was at a resourcing crossroads and had several challenges that needed to be overcome. • How do we continue to fund the vision? • How do we stop the campaign cycle? • How do we re-energize leaders? • How do we disciple believers in the area of generosity? 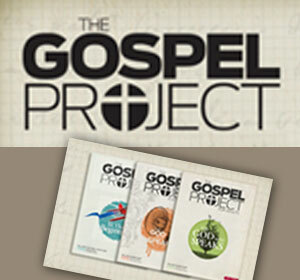 • How do we increase the number of people who are financially contributing to the vision of the church? So what did Campaigns by Auxano recommend? 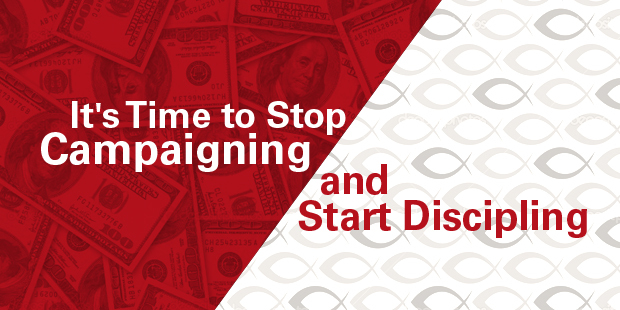 Stop Campaigning and Start Discipling! The church courageously hit the pause button on their next campaign and developed a comprehensive discipleship plan around their “give fully” spiritual mark. They identified four stages of “giving fully” for Christ followers: emerging, engaged, growing, and generous. Members were challenged to assess their stage and take the essential steps to go to the next stage. The clear challenge was to “grow up” in the area of generosity. For some that meant to start tithing. For others it meant that God was calling them to become generous “above and beyond” givers. Mainstreet’s prayer was to create a culture of generosity among a broader base of their membership and provide a break in the campaign cycle. When you bring the entire staff together, articulate a clear vision, and create a comprehensive discipleship strategy, churches can grow a generous culture that will produce immediate and sustainable results. Of course, you can keep campaigning if that is more fun! > Read more from Todd. Todd serves at the Director of Generosity by LifeWay. His generosity roots arise from leading multiple capital campaigns for local churches that together raised over $35,000,000 for their visionary projects. Since 2000, Todd has been a well-established stewardship coach, generosity leader, author, and conference speaker.